At Golden Gate Law Group, headquartered in Walnut Creek, California, we understand that a favorable outcome is of utmost importance to our clients. Facilitating physical and financial recovery from a serious injury or wrongful death, and protecting accident victims’ legal rights and those of your family, are our top priorities. Allow our experienced personal injury lawyers to explain your legal options and legal remedies when you or a loved one have suffered a brain injury, burn injury, scarring, or bone fracture. Your legal consultation is free. With over 35 years of representing injury and wrongful death claims, our lawyers believe that the way we treat our clients is as important as our courtroom skills. Through clear communication with our law office, we keep our clients abreast of developments in their cases–where negotiations are headed, how litigation is taking shape, and what options lie ahead. We promptly return phone calls. We update clients on cases frequently. We send clients copies of all related correspondence. 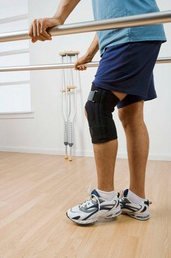 We offer honest assessment of injuries and legal issues. We clearly explain clients’ legal options and consequences of decisions. We assist with insurance companies and individual adjusters. We promote client satisfaction and peace of mind as we help get victims and victims’ families get back on their feet physically, emotionally, and financially. 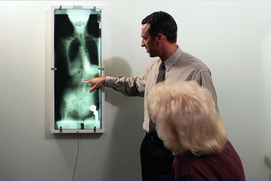 We have successfully handled cases throughout California. Call us toll free at 1-800-704-0151 regarding your car accident, dog bite, or personal injury caused by a dangerous or defective product to schedule a free consultation. We work on a contingency fee basis so we never ask you for fees until after we have won your case.